New Jersey Senator Cory Booker introduced legislation Thursday to remove all confederate statues from the U.S. Capitol, vowing "this is just the beginning." As a follow up, House Minority Leader Nancy Pelosi is demanding House Speaker Paul Ryan get on board with the move. But according to new polling from Marist, the vast majority of Americans don't want to see the statues removed from towns and cities across the country, not to mention the U.S. Capitol. They believe they should remain as historical symbols. President Trump has expressed opposition to the removal of statues in the wake of Charlottesville and tweeted Thursday morning about the issue. 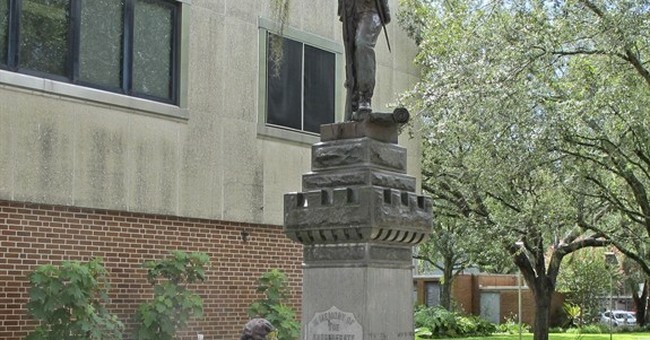 A woman was arrested and charged with vandalism earlier this week after illegally removing a confederate statue in Durham, North Carolina. There are hundreds of similar statues in cities across the country.